To celebrate Easter, stamp and create is having a sale. April 22 through April 25 you will get 10% off whole order using discount code "easter"
I used Belle's 'n Whistles Happy Mail stamp coloured with Copic Markers. I also used Basic Grey Curio Paper, May Arts Ivory Pleated Ribbon and Trim. The sentiment is from Whimsy and is cut using the Whimsy Shapology Ticket Die. The Big Cream coloured flower is from Prima. The smallers cream and brown flowers are from Wild Orchid Craft. 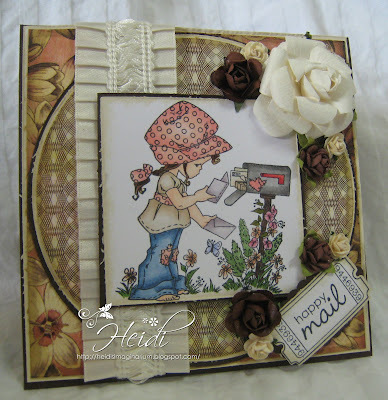 So gorgeous card Heidi,I love the image and your papers. 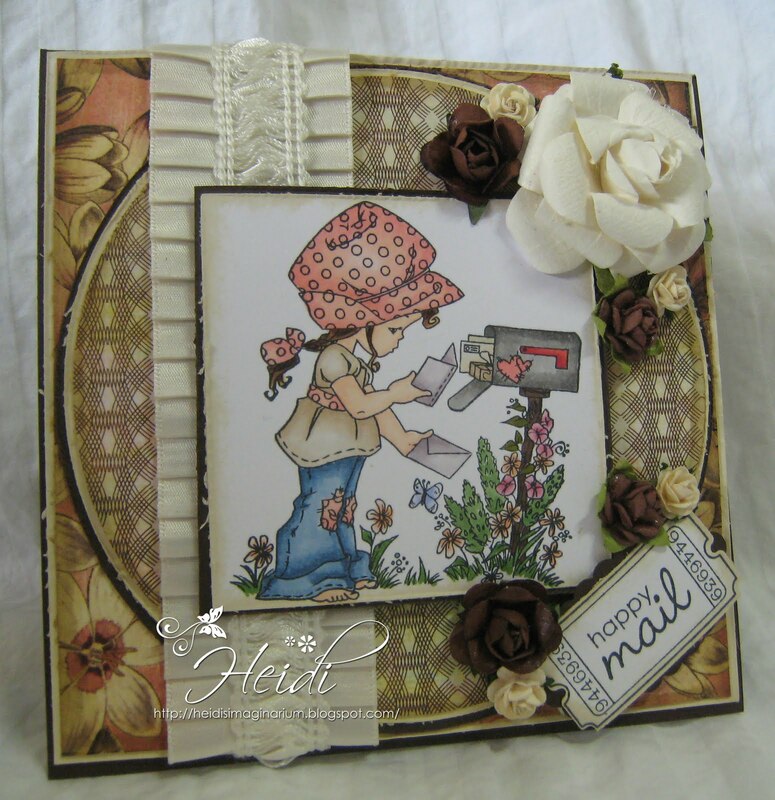 Such a gorgeous card Heidi, love all the little additions and the image is so beautifully coloured. Wow! a gorgeous card! the image is adorable and so beautifully coloured. Love the ribbon and flowers, perfect design.